Emi clerked at the Alberta Court of Appeal and Court of Queen’s Bench and then was admitted to the Alberta Bar in 1997. 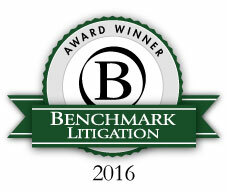 Emi has been recognized by Benchmark Litigation as one of the Top 25 Female Litigators in Canada, as a Litigation Star and a Rising Star. She has been rated and recognized by her peers in Best Lawyers in Canada in the area of Corporate Commercial Litigation, Alternative Dispute Resolution and Appellate Advocacy. She has also been recognized in LEXPERT’s Guide to Leading Lawyers for corporate commercial litigation. She has practised exclusively in the area of corporate commercial litigation with an emphasis on oil and gas, employment, shareholder and other contractual disputes. She has successfully represented all aspects of the oil and gas sector including operators, producers, mid-streamers and processors. She has experience in litigation involving operatorship disputes, operatorship challenges, and disputes involving CAPL, PJVA and PASC interpretations. Emi has also acted as conflicts counsel to trustees and monitors and has represented creditors in BIA, Receivership and CCAA proceedings. 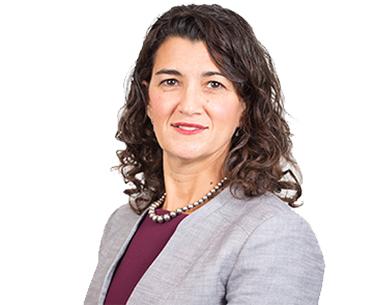 Emi has successfully represented her clients in arbitrations, in mediations, before administrative tribunals and at all court levels including the Supreme Court of Canada. Co-Counsel for the Canadian Mental Health Association on a pro-bono basis in the leading case before the Supreme Court of Canada.